How can I reduce the number of bothersome stinging insects? 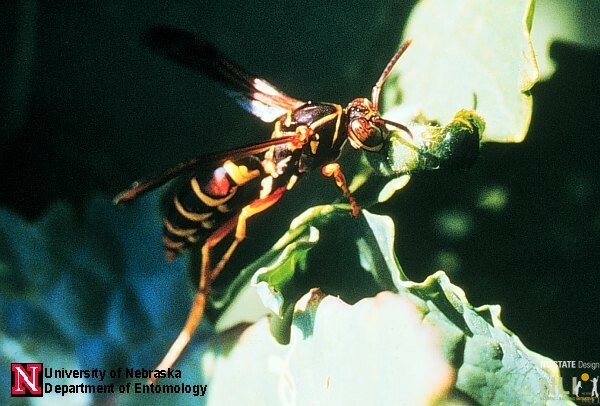 Yellow jackets, hornets, and paper wasps are all members of the wasp family. Although wasps are not efficient pollinators, they are useful for pest control. Wasp colonies should not be trapped or removed unless they have become a nuisance. Trapping wasps. In late winter and early spring there is a 30- to 45-day period when new queens first emerge before they build nests and establish colonies. Trapping queens during this period is most effective. Lure traps can be made or purchased at retail stores that sell pest control supplies. One trap per acre is adequate in spring for trapping queens. In summer and fall, more traps may be necessary to trap scavenging wasps. Place traps outside of the outdoor learning environment. With the center closed and no children in the playspace, spray pesticide directly into the nest opening and move away from the area in case wasps emerge from the nest. If done just before dusk, most of the wasps will be inside the nest. You can use an aerosol wasp and hornet spray that propels about 10-12 feet. You may need to repeat the treatment the following evening. Please remember to read all product instructions thoroughly and follow them closely. Best practice: Treat the nest on Friday evening, so the chemicals have the longest possible time to take effect and dissipate before children are back outdoors. Use a low risk spray. Sprays containing eugenol, a component of clove oil, are fast acting and considered low risk. Do not hold a lit flashlight or stand near other lights. Emerging wasps may be attracted to the lights. Do not pour gasoline or petroleum down a nest hole. This is extremely hazardous and environmentally unsound. As an alternative, you can blast the nest with a garden hose to remove it from a distance. 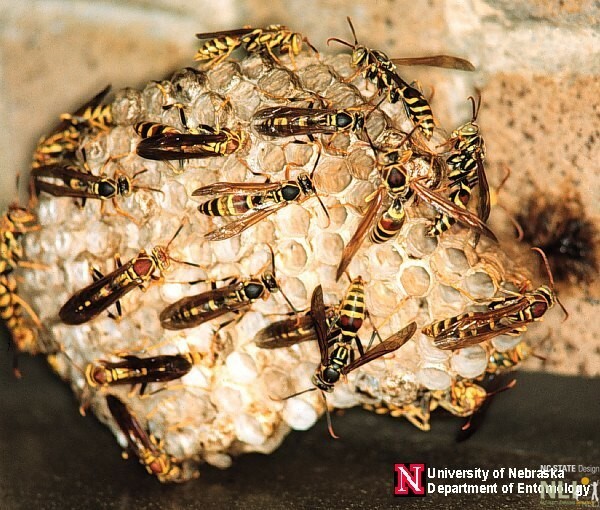 Due to the disruption, the wasps will eventually abandon the nest, but may linger a few days. If the nest is inaccessible or if you feel insecure about dealing with it, you may consider hiring a pest control company to do the work for you.